Keeping a clean and tidy workspace is important, not just for your health but also for your mental wellbeing, motivation and creativity. The state of your desk or the space you work in should not be underestimated for the way in which it affects you and those around you. A dirty, cluttered and organised desk creates a negative headspace which is far from ideal, particularly while you’re trying to be at the top of your game in the workplace. Your workspace should be as minimalistic as possible. Get rid of things that don’t need to be there and only keep the necessities at handto help you think clearly and keep the space free of‘dust collectors’. Wipe down your laptop/computer keyboard and screen, mouse and desk as these are all breeding grounds for bacteria and germs. Your keyboard and mouse should be cleaned and disinfected no less than once a week as they are all items that get dirty very quickly with oil from your skin, sweat, food and other nasties. Don’t forget about other places that your probably come in contact with all the time, but don’t think to wipe down such as the handles of your drawers and cupboards, your phone, headset and chair. These items should be cleaned and disinfected on a regular basis and the entire desk regularly dusted. A clean office environment improves employee’s attitude, productivity and helps with makingbetter decisions both professionally personally. At neat cleaning, we know what it takes to keep your your office environment clean and professional looking, allowing you to focus on other, more important parts of your business! 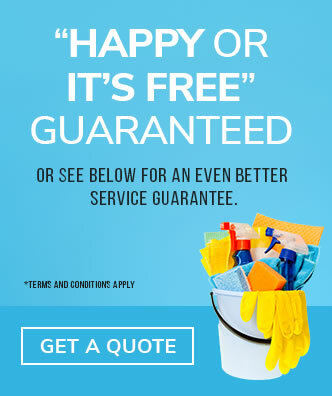 To find out more information or to get a free quote,contact our friendly team today. We are always hearing about germs and bacteria, of using soap, sanitiser, and spraying things into the air and onto our possessions to get rid of microscopic germs and bacteria. No matter how diligent you are there are always places germs are hiding and multiplying. Be sure to add these areas to your cleaning list every day, week, and month to help lessen the germs around your home or office. Here is a list of the 8 most common areas we think are a haven for bacteria and should be wiped or washed regularly with hospital strength disinfectant. If you really think about what your hands go through every day and what they touch, I think you might start sanitising them more often. You go to the toilet (I won’t mention the toilet seat), you then flush the toilet without washing your hands – just like many people have done before you without washing their hands, you then open the door knob or latch – just like many people have done before you without washing their hands, you then switch the light off – just like many people have done before you without washing their hands, you then turn the tap on – just like many people have done before you without washing their hands, you then pump the soap – just like many people have done before you without washing your hands and then you wash your hands so they are nice and clean and germ free, leaving behind you a path of germs and bacteria that seems to be neglected on cleaning day. You then decide to have lunch, you know your hands are clean so you just go into the fridge to get your sandwich but 5 mins before you J. decides to have lunch and unlike you, he doesn’t wash his hands after he goes to the toilet so he’s just left germs all over the fridge handles that you’ve just touched with your clean hands and are now eating your sandwich.